Venice, Italy is made up of over 100 islands with 400 bridges and 2,000 alleys. It is filled with adventure, culture, art, shopping, restaurants, and history. Each day, we will guide you through this maze to our favorite spots and then set off to indulge in transformative writing workshops. Writing enables us to explore the world on paper, reimagining and sharing our journeys from the busy marketplaces to the austere churches to the waves of the Mediterranean Sea. In Venice, we’ll enjoy the best Italy has to offer, and of course, reflect on it during our writing workshops. Our retreat in Italy sells out fast, so be sure to reserve your spot now. We close regisration as soon as rooms sell out. We can’t wait to meet you! In Venice, we’ll take vaporetto boat trips along the Grand Canal where we will be able to see the front doors of palaces built when Venice was the world’s richest city. One trip will end at Piazza San Marco where we will visit Doge’s Palace and the Basilica San Marco. We’ll also spend one afternoon at the Rialto Market feasting our eyes on the abundance of vegetables, fruits, and other market specialties. We’ll get together at our charming hotel at 5pm for a welcome and orientation writing session. We’ll go over the schedule in detail, meet our fellow participants, and get our creative juices flowing. After, we’ll head to a nearby plaza for dinner and eat our first of many delectable Italian dishes. Some of us will be jet lagged and others will be raring to go. For the latter, we recommend exploring Venice’s romantic alleyways and snapping photos of the canals, sparkling in the moonlight. We’ll wake up to a beautiful morning in Venice and enjoy a breakfast of croissants, coffee, and juices. Then, we’ll head to the stone courtyard, ready to begin our first writing workshop in the warm Venetian breeze. Our daily writing workshops are made up of traditional writing activities, as well as innovative exercises designed to open up our imaginations. We’ll break for lunch, indulging in mouthwatering Italian delicacies once again. Then, we’ll hop on a Vaporetto water taxi to the Peggy Guggenheim Museum, which houses some of the best modern art from Picasso to Dali to Pollock. We’ll linger in the gorgeous sculpture garden, and then head to dinner. Once again we’ll begin our morning with breakfast followed by an experiential writing workshop. In the afternoon, we’ll make our way to Saint Mark’s Square, a bustling area filled with top-notch restaurants and exquisite Gothic architecture. We’ll head to Doge Palace, the impressive headquarters of the Venetian Republic, which existed for more than 1,000 years. We’ll tour the frightening prison located inside, and then decompress by taking in the gorgeous art. For dinner, we’ll find street side cafes, watching the gondolas pass—or fulfilling our dreams of taking a ride in one ourselves! Following another magical workshop, we’ll ride a vaporetto, admiring the water glistening and snapping photos of the extraordinary views. We’ll land at the Rialto Market, taking in the mountains of seafood and fruit, stopping for a frothy cappuccino, and stepping in and out of glass and leather shops. We’ll end the day with a celebratory dinner of red wine, caprese salads, pasta, and tiramisu. Delizioso! We’ll savor our last breakfast and conclude our retreat with a final workshop. Get ready for laughter, tears, hugs, and promises that you make and keep to reconvene in new exotic locations. Under Jaclyn’s guidance, I found new direction for my writing and tackled topics that I haven’t been able to put down on paper until now. I shared my work and became part of a community of writers, whose feedback was invaluable to me. 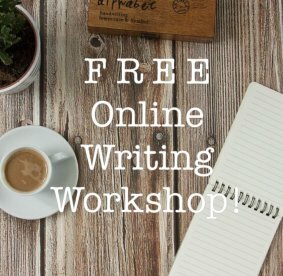 I dove into my fears and created new dreams for what I might do with my writing in the future and I cannot recommend this course highly enough. I’m already sad that it’s over. I stumbled upon Pink Pangea’s writing retreat and I only had to read through the page once to know that this was the right time and the right opportunity to finally take that risk. I signed up in a heartbeat, and I am so glad that I did. Venice’s weather is delightful in June. The days are mostly sunny and rain–when it comes–doesn’t last for long. Days will be in the mid 70s F (24 C). The nights are breezy and in the low 60s (about 16 C). We recommend packing layers, as well as an umbrella or rain jacket. Before the retreat, Pink Pangea will send you details about arriving in and departing from Venice; as well as a packing list. From Marco Polo Airport in Venice, take the water bus Alilaguna and get off at the stop Zattere. Walk along the wide street in front of you for about 150 meters. You will find the entrance in front of the S. Agnese church. If you have any questions about the retreat, email hello@pinkpangea.com.